“PETA cannot be a serious discussion partner for any democrat”, the CDU of Lower Saxony states in a press release and deals with an “inhuman” posting of the radical animal rights organization. Lower Saxony’s CDU describes a publication by the radical animal rights organization PETA, which vilifies three ministers, as an “inhuman post”. For years, PETA has systematically defamed politicians of this party in ways that make one wonder, the party is finding such clear words just now and not already years before. It is also questionable in terms of charitable status, to what extent it can be covered by this. PETA defamed members of political parties and apparently tried to influence elections with disinformation and unlawful prejudices. The CDU now finds clear words in a post on Facebook. The CDU is a is a Christian democratic and liberal-conservative political party in Germany. At the moment it’s the strongest party in the parliament in a government coalition with the SPD, a social-democratic political party in Germany. These are so-called big-tent parties. The animal rights industry in Germany are more close to other parties from the far-right, far-left and democratical left parties, but of course, they also try to get more influence in the big-tent parties. So, this statement of the CDU is an important statement for the political community of all democratic parties in Germany. The CDU of Lower Saxony, a state of Germany, is kind of the state department of the political party. Just for the clarification: in Germany, “democrat” means a member of all democratic parties from the democratic left to the democratic right spectrum and more. This could cause confusion, because of the Democratic Party in the United States, whose members are called “Democrats”. It’s therefore important to know that the word has a different meaning in Germany than in the United States or probably other countries: it means all trustworthy and serious politicians from all political parties. It is one thing to have your opinion on certain politicians because everyone has one, but it has a very different quality of violating fundamental rules of the law and staging a hunt for persons. 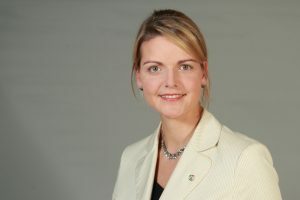 The resigned Minister Christina Schulze-Föcking (CDU) and her family were, according to the politician, exposed to massive threats – of course, such a behavior recruited from such campaigns supports and motivates it. What, reinforced by media exploitation of animal rights campaigns, took place, has nothing to do with the rule of law. The presumption of innocence applies, which is based on the principle in Article 11 (1) of the United Nations Universal Declaration of Human Rights of 1948. You can also find similar principles in Article 6 (2) of the European Convention on Human Rights (ECHR), and in Germany, the presumption of innocence bases the rule of law in Article 20 (3) and Article 28 (1), first sentence, of the Grundgesetz. Such campaigns are therefore no trivial offenses, but sawing the foundations of the rule of law. The secretary-general makes it clear: “Animal welfare is very important to us, but the defamation of an entire profession has to end. And the constitutional state should not financially support those who have a fundamental problem with our legal and economic order.” Gero Hocker of the FDP, the classical liberal political party in Germany, brought this yesterday at SternTV on a simple formula by saying analogously: Who ignored the rule of law should not benefit from it. 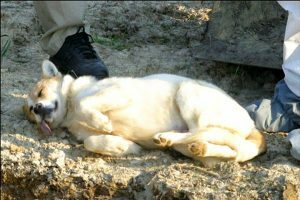 PETA killed more than 38,000 pets at its shelter in the US – including a staggering number of healthy and adoptable animals, some of those were disposed of in dumpsters like garbage. Even rescued animals were killed because the richest animal rights organization allegedly ran out of money – but for populist campaigns, they always seem to have enough money. If you donate PETA Deutschland e.V., for example, 5 €, about 4 € will go into personnel costs and public relations for the association with a one-digit number of members. Ingrid Newkirk, PETA founder and first chairwoman of PETA Germany e.V., said: “We do not advocate ‘right to life’ for animals”. It is not a contradiction to speak out against PETA and to support animal welfare. It is very important that this is considered in a differentiated way. With the CDU and FDP, the two parties are clearly against PETA, which also pronounce themselves for modern zoos and aquariums. Modern zoos and aquariums are committed to the life and survival of animals, species and their habitats. Many species have already been successfully rescued, while no species owes its survival to the radical animal rights organization PETA.